Sip the Key Lime wine by Florida Orange Groves at Florida Local marketplace and dig into the heavenly Linda Bean’s Perfect Main Lobster Roll at Hops & Barley marketplace. 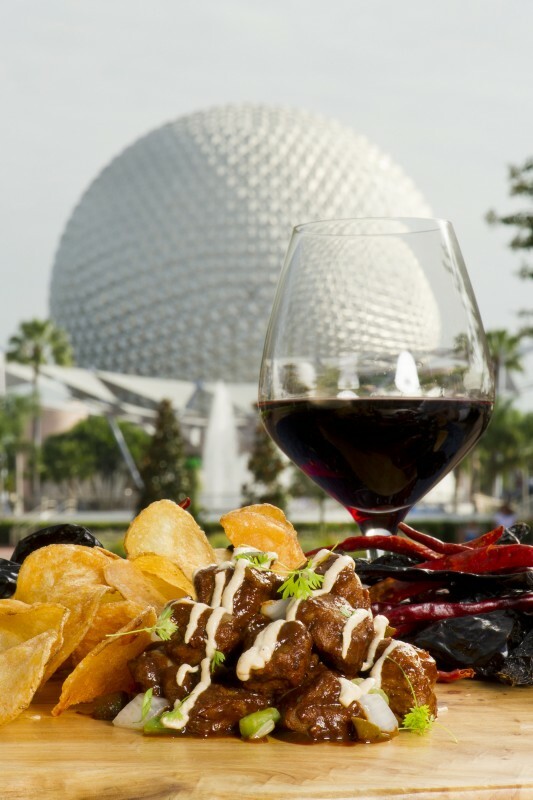 Then grab a seat to eat to the beat of pop icons like Big Bad Voodoo Daddy performing in America Gardens Theatre during the final 12 days of the 17th Epcot International Food & Wine Festival. Disney guests have been flocking to the annual food fest since opening day Sept. 28 and continue to celebrate by sampling tempting bites and organic wines from TERRA, the new vegan marketplace, and more than 25 other food and beverage kiosks representing regional cuisine from six continents. Every evening, they can rock to an Eat to the Beat concert at 5:30, 6:45 or 8 p.m.
Culinary demonstrations, beverage seminars and other daily events at the Festival Center add an extra element of fun for foodies. Nov. 2-4 Marianne Canada, HGTV.com Special Projects Editor. Festival Center guests are still savoring liquid-candy-bar sweetness when they taste the gourmet drinking chocolate at The Chocolate Experience: From Bean to the Bar in the Center. Other don’t-miss festival opportunities: the popular Ocean Spray “Discover the Cranberry Bog” and The Watermelon Patch presented by the National Watermelon Promotion Board. For details on all special events, including the popular Party for the Senses – final event Nov. 3 – and other premium tasting experiences, visit www.epcotfoodfestival.com.